I am so incredibly envious of any and all of you who have had the fortune of seeing this one alive / in the field. 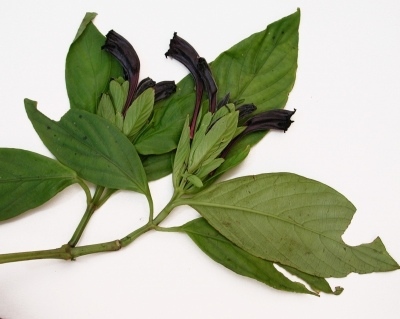 I think I’ve been having dreams about it for at least a decade now – ever since Lucinda told me there was a black-flowered Acanth. Yep – black. Even the herbarium labels say such. Some overly committed anthocyanin accumulation in the flowers of this Panamanian endemic. Desperately seeking gene upregulation study.